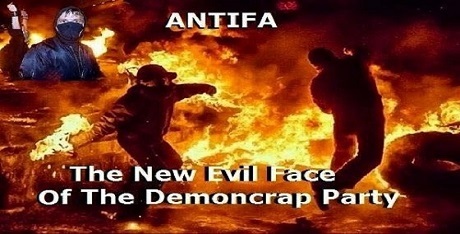 November 20, 2018 NACOP Chiefs of Police - James Kouri 5 Comments Antifa Groups, George Soros, police and military, Smash Racism D.C.
Ιn a news story that was arguably one of last week’s most important, the Democratic Party-Activist Group-News Media complex decided to ignore President Donald Trump’s bold warning to leftist-radicals, especially the George Soros-funded groups that espouse the rantings of Rep. Maxine Waters, former Attorney General Eric Holder, Democratic “Queen of the Party” Hillary Clinton, and many others. During an interview with the conservative news outlet, the Daily Caller, President Donald Trump said the violence-prone group of self-styled anarchist known as Antifa — short for Anti-Fascists — were going to regret what they are doing to gin-up anger and discontent among the American people. Speaking to the popular web site on Wednesday, just days after Daily Caller’s founder, Tucker Carlson, had his wife terrorized by an affiliate of the “anti-fascist” mob, Trump said that there was strong opposition to Antifa that had yet to strike back. He said that the leftists had better hope things remain that way. Carlson is now hosting a top show on the number one cable television news network, Fox News Channel. “They better hope that the opposition to Antifa decides not to mobilize,” Trump told the Daily Caller. “POTUS really put the so-called mainstream broadcast and newspaper organizations in a peculiar position. While we know they are sympathetic to leftists groups such as Code Pink, ANSWER, ACORN, and others, they don’t want to be so obvious about their political-biases,” said former police commander and political consultant Gabe Channing. During his interview, Trump angrily said it was a “terrible” act that occurred outside the D.C. home of Carlson, whose wife was home when a leftist mob began shouting outside and trying to break the door in. According to Channing, who worked as an inner-city cop, what the Democrats have done if beneath contempt. “They use words to create hatred and animosity and then they talk as if they are calling for cooler heads to respond to the violence and hatred they caused to begin with. It’s a vicious cycle that’s worked for the Democratic Party for decades,” he said. “[Antifa] better hope that the other side doesn’t mobilize,” Trump said again. “Because if you look, the other side, it’s the military. It’s the police. It’s a lot of very strong, a lot of very tough people. Tougher than them. And smarter than them. They’re sitting back and watching and they’re getting angrier and angrier,” Trump told the Daily Caller. While most people do not want to see violence on their streets or in their communities the antics of these groups and their puppet masters will hopefully not come to the violent clash that Antifa seems to want. In fact, corporate America is already showing a dislike for actions by the anarchists. Last week, for example, Twitter banned Smash Racism D.C.’s account and deleted their posts doxxing Tucker Carlson. And Paypal began blocking Antifa and their affiliates from using their Internet services. “We do not allow PayPal services to be used to promote hate, violence, or other forms of intolerance that is discriminatory,” the company said in a statement. It’s time to send them all back. We don’t need this and voting can be fix. That’s why they are here to cause hate. I wouldn’t let them in. They will end up all over USA 🇺🇸 causing hate. Build the wall 30 feet tall. Democratic’s and Soros the man will make us all miserable. They don’t want peace. I want my kids and family safe. 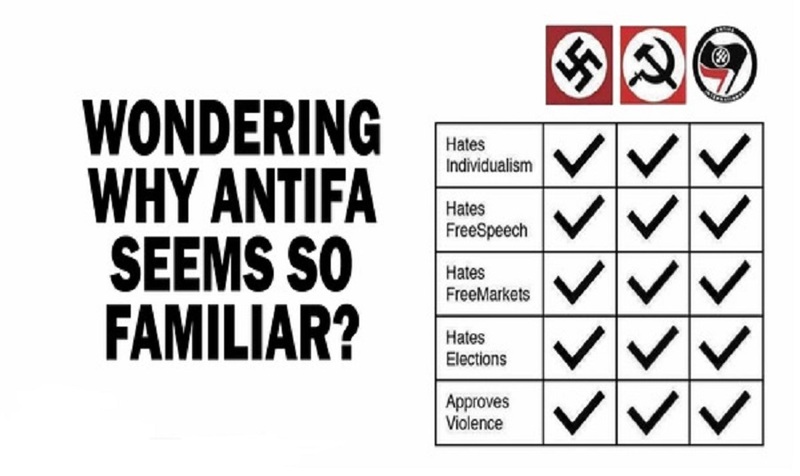 ANTIFA are terrorists. Period. The Justice Dept. needs to do its dam job and start getting these scum off the streets and into Guantanamo. You got that right! And if the FBI were a real law enforcement agency, they would investigate and find money being poured into Antifa coffers by the Democratic Party, George Soros and other anti-American businessmen.